Netbook Storage Depots have gone mobile. 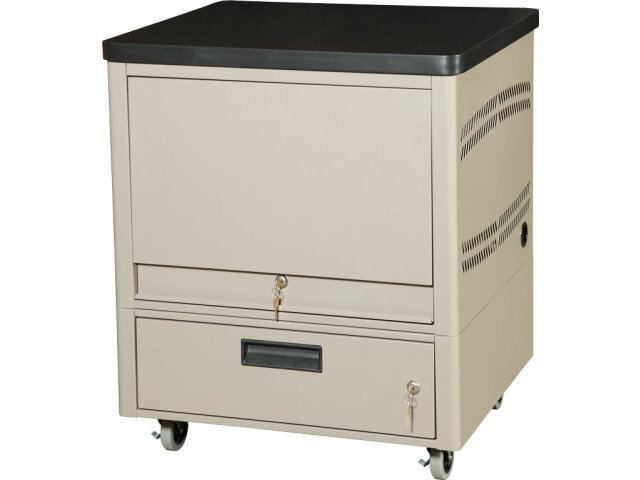 This model rolls into place on 3" casters, providing convenient secure storage, and enabling you to move contents without removing them. 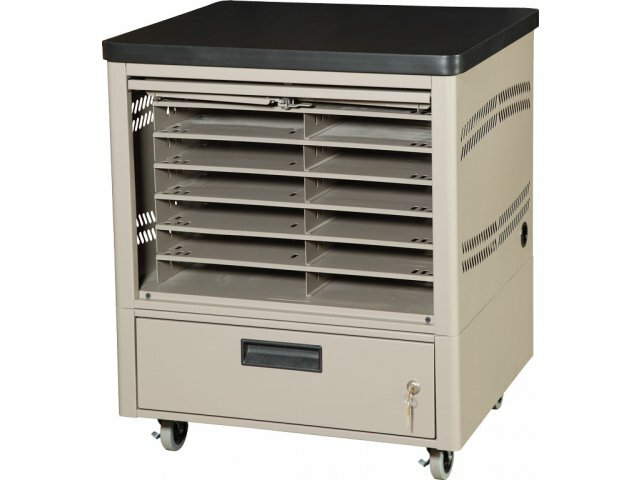 These Netbook Storage Depots keep netbooks or tablets stored securely in one convenient location. They include 12 individual compartments that make it easy to retrieve netbooks and stay organized. When a higher storage capacity is necessary, multiple netbook storage depots can be placed side by side without any wire interference. These units are smartly-designed for maximum security and easy access. A retractable, lockable metal door keeps the contents safe, while a rear-access panel facilitates easy setup and maintenance. These netbook depots feature a power-management shelf that facilitates easy wire routing. Perfect for classrooms, computer labs, training centers, or offices. When storing enough netbooks for an entire class, you may want to consider placing two or more units in different corners of your classroom, to avoid having all your students converge on one place at the same time. Portable: Includes 3" casters for easy transport. 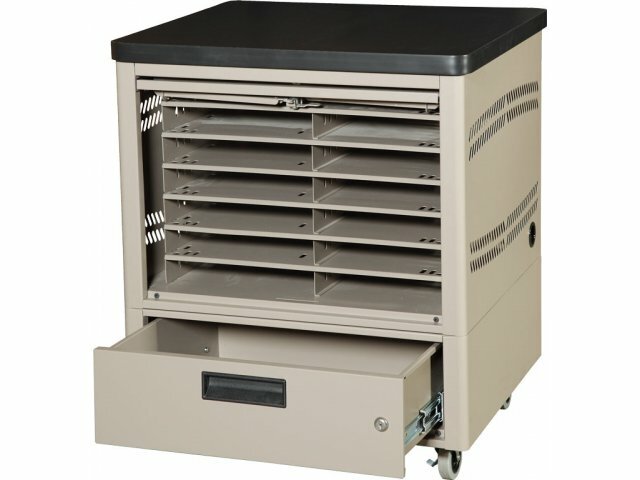 Extra Storage: Locking-drawer base provides additional storage for manuals, accessories and more. Convenient: 1 1/8"-thick laminate top provides a smooth writing surface. Secure Access: Retractable locking metal door protects contents and provides easy access when open. 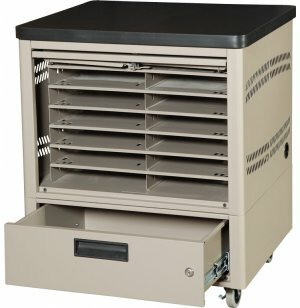 Easy Configuration: Locking rear IT access panel enables easy set up and maintenance. Power Management: Power-management shelf keeps cords neat and organized. Easy Plug-in: Built-in powerstrip enables units to charge internally. Ventilated: Attractive pattern of small slots on each side of the unit promotes airflow.